I’m not much of a “Holiday Guy”. But Something about getting back into watercolor painting, all the cards I’ve received this year, and some recent images of Grumpy Cat inspired me to send something special to my family and friends. 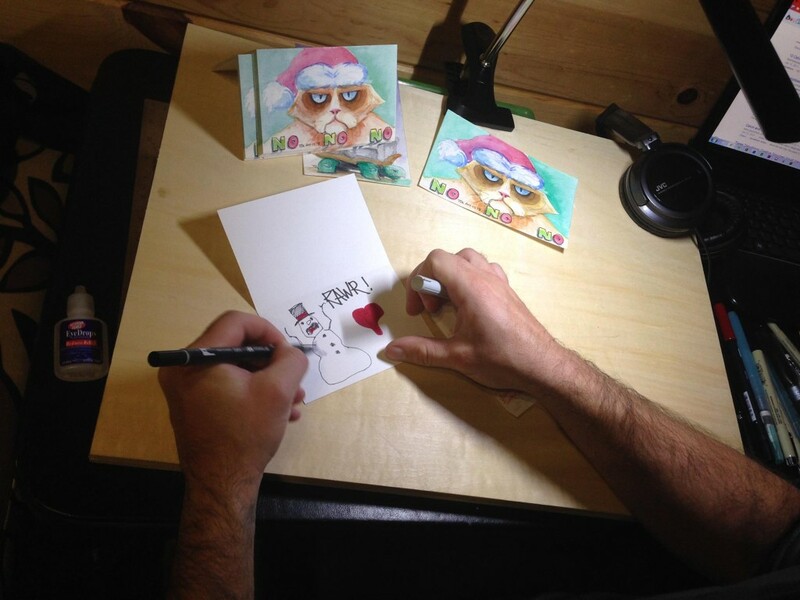 Inside each card, I took a couple of minutes to draw something different but relevant to the recipient. 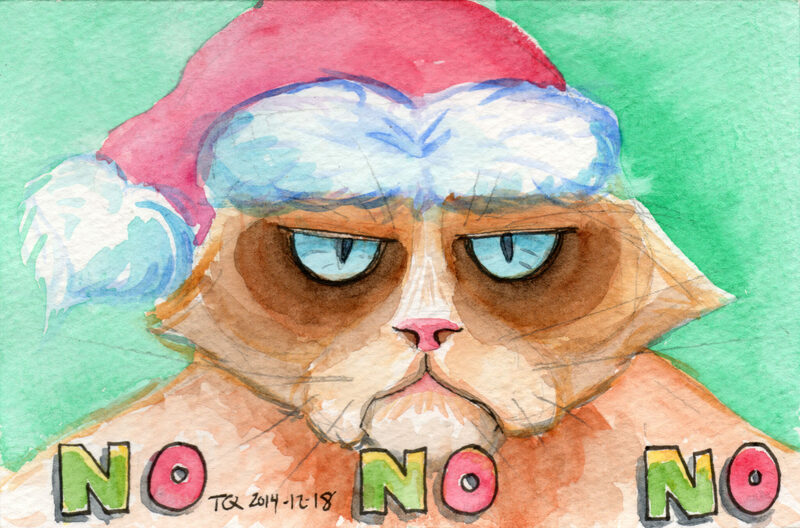 I tried to post this card on my Zazzle shop to make it available for order, but little did I realize that this was a violation of their license policy as I don’t own the rights to Grumpy Cat. I thought it was just a meme! Overall, I think the card has been well received so I plan on doing something “fun” again for 2015.